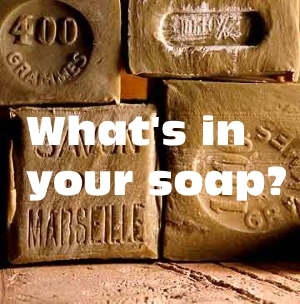 It may surprise you to know what commercial soap makers take out, as well as put into their soaps or beauty bars. 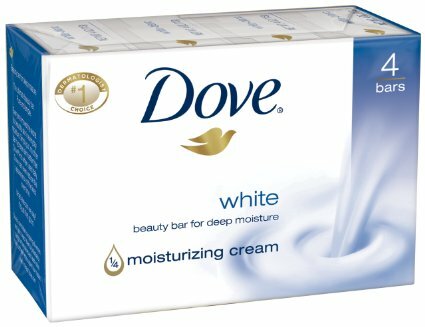 Large companies that produce commercial soap or beauty bars like Dove, Ivory, and Oil of Olay use expert marketing techniques in their advertising. They promote emotional concepts and ideals, that focus on warm and fuzzy feelings, while avoiding any unpleasant details about the product itself. Dove has it's Self Esteem campaign, Ivory - The name you can trust for good, clean fun for the whole family, and Oil of Olay - love the skin you're in. There's no doubt that self esteem, family fun and loving the skin you're in are all important and wonderful things, but they have nothing to do with the chemical concoctions these soaps are made of. Only 3 ingredients - lye, water, and fat. That's it. What you get is a pure soap with the natural glycerin retained. The first thing most commercial soap makers do is remove the glycerin from soap. There is more money to be made by removing the glycerin and selling it to be added to other more expensive cosmetic products like lotions. Then, they add cheaper synthetic chemicals or substances to thicken, colour, add foam, clarify, enrich, and scent the soap.Glycerin is a great moisturizer that attracts moisture to the skin and is best if just left naturally in the soap. I've read recently that because of the increased production of bio-diesel there is a large surplus of vegetable glycerin in the U.S. market which has driven down the price. I would hope that would deter soap producers from removing the glycerin in the soap as it isn't worth as much as it used to be. The ingredient list below is from Dove's beauty bar. Each ingredient name is a link to the Environmental Working Group's Skin deep cosmetic safety database where you can read more about it. Tallow - animal fat. 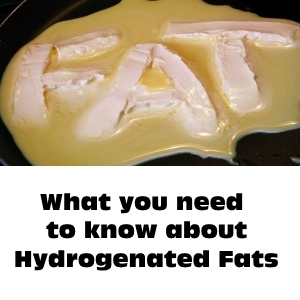 It may also be listed as sodium tallowate which is the result of mixing lye with with animal fat. It's handy if they don't want to list lye as one of the ingredients. Sodium lauroyl Isethionate - synthetic detergent. Cocamidopropyl Betaine - synthetic surfacant used to control viscosity and boost foaming. Known to be toxic to the human immune system. Sodium Cocoate - coconut oil and lye. Another way to get around listing lye as an ingredient is to list the oil as saponified coconut oil. Sodium Palm Kernelate - palm kernel oil and lye. Same thing, saponified palm kernel oil. Fragrance - fragrance or parfum on a label represents an undisclosed mixture of various scent chemicals and ingredients used to disperse the fragrance. This one scores an 8 with the environmental working group for concerns including immune system toxicant and neurotoxicity. Tetrasodium Etidronate - a diphosphonic acid derivative. No research to refer to. Titanium Dioxide - used as a colourant and opacifying agent. Concerns include cancer, allergies, and immune system. So there you have it. Some soaps may have fewer ingredients, some even more. I'll stick with the water, lye, fat ingredient list. It doesn't have to be quite so basic though. There are so many essential oils and herbs that offer wonderful scents and skin benefits without the toxins. I should mention that the fat in good soap will be from vegetable oils such as olive oil. I hope I've inspired you to check the ingredients on your favourite soap and maybe consider a more healthy, earth friendly alternative. Maybe you'd even like to try making your own soap?